The brief was to come up with a solution for two alcoves and a chimney breast. the designer, Julia Kendell, wanted the artwork to be based on Hindu architecture and ornamentation. My associate Gorden Collett & myself designed three MDF panels that were cut to shape. 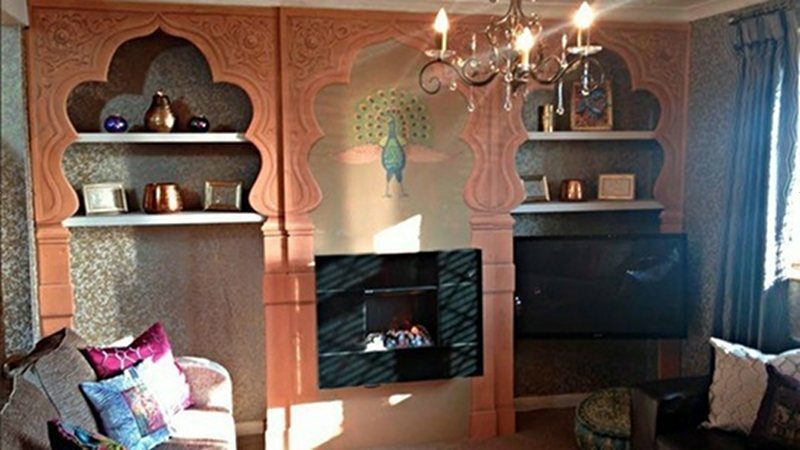 We then painted them in a carved stonework trompe l'oeil effect before they was installed. For this episode of 'DIY SOS' I was asked to paint a trompe l'oeil louvre shuttered window overlooking the lavender fields of Provence. 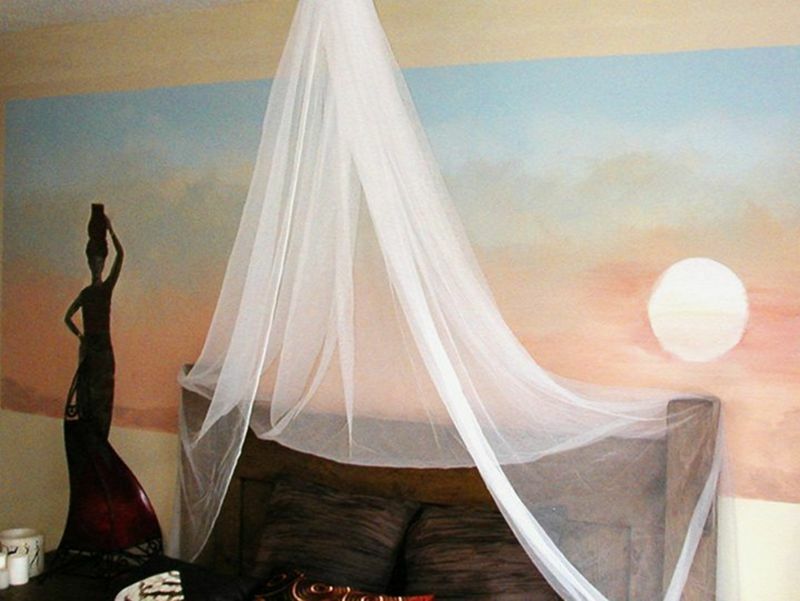 I painted the mural on a stairwell wall for a master bedroom and it complimented the French farmhouse theme that the designer Julia Kendell created for the room. This time we headed off to Anglesey near the town of Llanfairpwllgwyngyllgogerychwyrndrobwllllantysiliogogogoch to help out on the biggest project that the DIY SOS team have taken on to date. We painted a fitted wardrobe to look like the Doctor Who Tardis and, as a little extra, we created a glow-in-the-dark star ceiling with shooting stars & planets. Gordon Collet & myself created a stone blocked chimney wall with a cheeky dinosaur for the children. Gordon also painted one of his legendary pop-out corner trompe l'oeils of a bronze statuette. This was our first DIY SOS contribution. The brief was to take inspiration from all the african artifacts the homeowner had collected, and the colours Julia Kendell had chosen for the room. Gordon painted the figure, and I painted the background and the sunset. We worked together to save time at the site, doing the whole thing in about 40 minutes. The brief was to make an celestial scene on two panels to take LED lights in the form of stars. 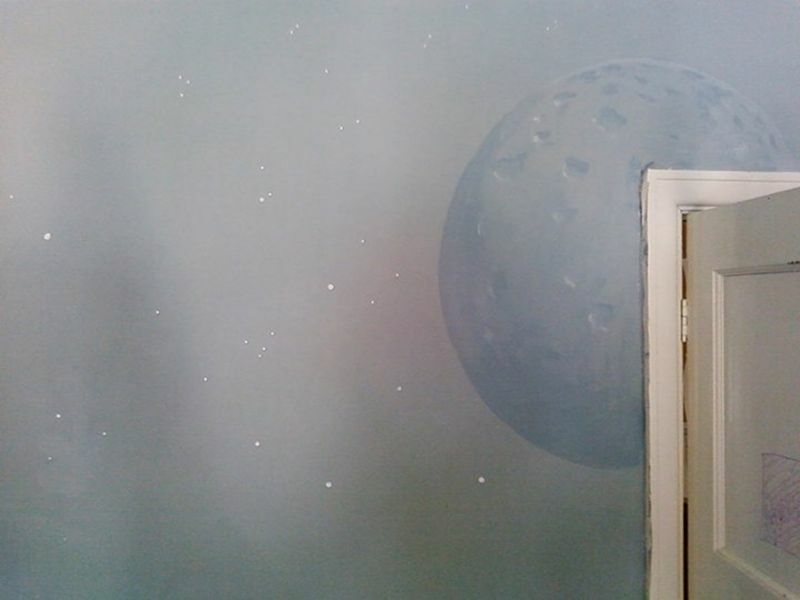 We also painted planets and stars on ther walls to bring the cosmic feel all over. Gordon painted the panels, and on the day, we both painted the planets background and decorative work to the walls of the bedroom. The brief was to take the images in the art nouveau fire surrounded in the deatured room, and make a wall feature of them. 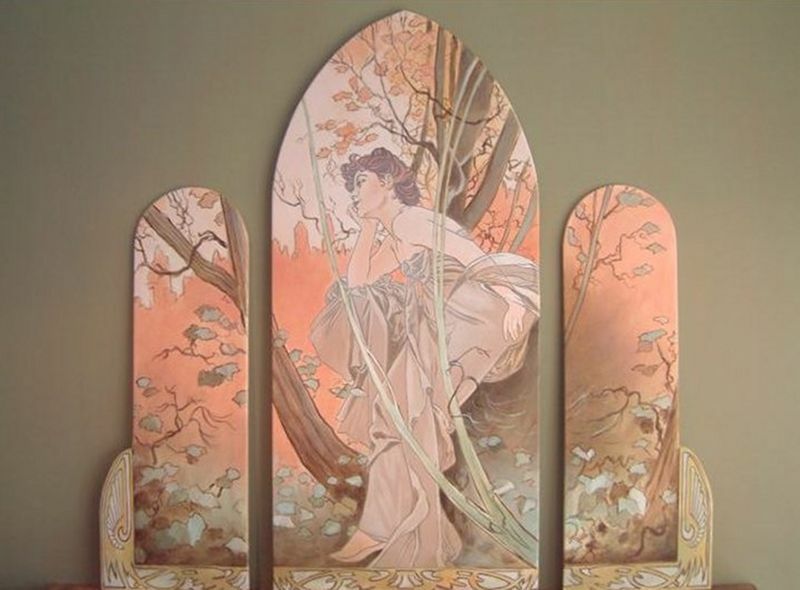 The piece is a copy of the painting "Evening Reverie" by Alphonse Mucha. Gordon painted the figure, and I painted the floral background and decorative work. We worked together to blend the design into the wall at the site. This was our first 60 Minute Makeover contribution.